You are a superhero with unconventional powers. A magical MacGuffin allows you to imbue light with various magical effects. Use your powers to fight the bad guys and make sure no innocent bystanders get hurt! 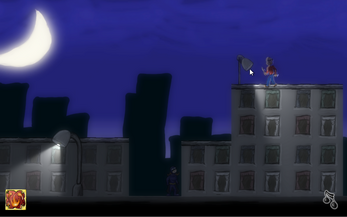 This is the post-jam fixed version, which has improved jump mechanics.